It is sometimes called “The Cloud,” which delivers needed computing resources on demand. Availability of resources is immediate by self-service. Applications that run on distant computers “in the cloud” are owned and operated by other companies that will connect to users’ computers through the internet. An important feature of cloud computing is that no data are lost if your computer fails, as data are stored in the cloud. Additionally, any connected computer can access applications and data files. Cloud provides companies on a pay-per-use basis for such resources as storage, networking, and servers. The costs involved with purchasing underlying hardware, software, and serving as host are avoided. 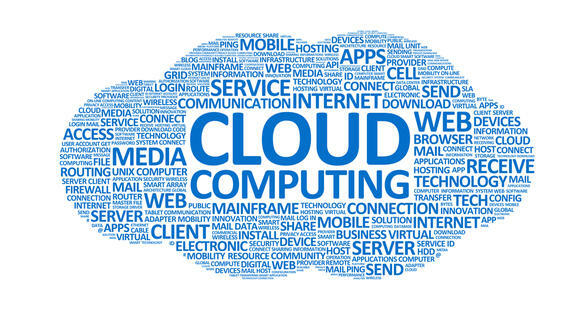 Public clouds offer rapid access over a public network to affordable computing resources. They are owned and operated by companies that offer rapid access. Resources might include data analysis, innovative business applications, and management of transactions. A private cloud is operated solely for a single organization. Private clouds are managed internally or by a third party, with the host being either internal or outside. Private clouds provide more control, as they can take advantage of cloud’s efficient operations. A private cloud cannot be isolated from the company’s IT resources and the public cloud. A hybrid cloud uses private cloud in conjunction with the integration and use of services provided by public cloud. Hybrid clouds develop when most companies with private clouds manage workloads across data centers, private clouds, and public clouds. Sensitive data or applications can be kept in the company’s data center or private cloud. Hybrids also make transporting data, services, and applications easier with more choices of usage. The Cloud can increase efficiency for collaborations for users in disparate locations both geographic and within a single office where documents can be shared and worked on simultaneously by group members. The savings gained using Cloud based collaborative tools grow exponentially as users become accustomed to using them. Technology is transforming the way field researchers collect data. Group Oliver knows that, with the right tools, our customers can transform the way they do business, too. Using smart traps to capture mosquitos, epidemiologists are studying the DNA that mosquitos collect. Using the cloud, researchers can analyze over 100 million pieces of DNA in a matter of hours, identifying where diseases come from and how they spread. "If we can detect new viruses before they spread, we can stop outbreaks before they begin." That's the transformative power of Microsoft Azure. That power can be used to transform your organization. Group Oliver can help you. Contact us to find out how.